Yup. I’m playing Pokémon GO. I caught some special Pokémon this morning, and decided to see if Ravelry had any special knitting patterns pertaining to the pocket monster I caught. I was in luck! I had a very productive Pokémon GO session. Sam, my DH, was driving, and I managed to catch a Pikachu, Poliwag, and a Jigglypuff on our commute to work. Yay! Magmar up there was hatched from an egg that took a lot of walking to hatch. I haven’t found a pattern for anything for him, yet. Pikachu is probably the most recognizable Pokémon, as he was in all the cartoons and movies. This lovely pattern, created by Mary Lucas, is available on Ravelry, and is adorable! He’s a chocolate orange cozy! Jigglypuff is another Pokémon that is seen in the cartoons and movies. And, here’s a great pattern by Emma Whittle that helps you create your own Jigglypuff. Poliwag is adorable, and you can knit your own with another great pattern from Emma Whittle on Ravelry. Other great Pokémon patterns? 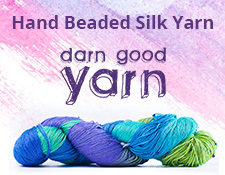 Check out my search on Ravelry, and you will see many wonderful things to knit. Are you playing Pokémon GO? Let me know! What’s your level and favorite Pokémon? Washcloth KAL/CAL : All Done! Yay! The Washcloth KAL/CAL is all done! I knit eight of them! Did anyone out there in Internet Land knit or crochet any? I’d love to see them if you did. Leave a comment and let us know where we can see them. So, I hope that you had fun with the KAL/CAL, even if you didn’t knit any and just read along with what I was doing with it myself. Have a great weekend, everyone! Lancaster’s first “Can’t Stop the Serenity” (CSTS) charity event was FANTASTIC! It went very well, we had a great turn out, and everyone had a great time. Next year’s event is already being planned! Here’s a wrap-up of how it went. First off, here’s a flashback, in the way of an older blog post, as to what CSTS is and what it’s for. To start of the night, there was a showing of Serenity, Joss Whedon’s move featuring the Firefly cast. We had over a hundred people come to the showing! There were raffles to raise extra money, too, for CSTS’ charity of choice, Equality Now, as well as two local charities: Dutchland Derby Rollers and Girls on the Run. I was running the merch table, where I was selling patches, stickers, and Ma Cobb hats that I knit myself. After the movie, we pulled names for the raffles. I won a Firefly comic book, and a copy of the core rules for the Firefly tabletop role playing game! Perfect for me! Sam and I also had Captain’s tickets for the showing, which got us a neat swag bag full of stuff. Below are my winning and the Firefly-related things in the bag, as well as the Blue Sun patch I bought for myself. After the movie and raffles, a bunch of people headed over to Fiorentino’s, a restaurant near Penn Cinema, where the movie showing was held. Sean Faust serenaded us with tunes from Firefly itself, as well as originals he wrote. Otherwise, here are few other photos that I took at Fiorentino’s. This is Amber and Maxx, our organizers, who put a lot of time and effort into this event! This happy group of Browncoats, had a great time. The Kaylee cosplayer, Onnolee, also helped plan the event. I did my FIRST cosplay at this event, as Jayne Cobb, the muscle behind the crew of the ship Serenity. I knit a bunch of the hats in the style his mother, Ma Cobb, knit for him in one of the episodes of Firefly. Here it is! It’s not exact, but it’s my take on his gear. I don’t think it’s bad for my first time! Here’s a close up my glammy face (definitely NOT Jayne) wearing the hat I knit for myself. To finish off the night, Sean invited everyone, or at least those who wanted to, to sing a rousing version of the “Hero of Canton.” I got it on video. It was a late night, but a fun night! Fantastic work, Amber and Maxx! Thank you to all who came out and supported us! When I went on my closet cleaning binge back in the end of May, I ordered three bags from thredUP to see if they would be able to sell anything. As of a few days ago (due to volume, it takes thredUP while to process stuff that comes in. ), all my bags have been processed, and here’s what I got. You can read my original assessment of thredUP here in a previous post. The first bag did really well, and they accepted about half of what I sent, which is better than their usually 40 percent acceptance rate. I got a payout of $9.65. Not bad! The next bag didn’t do as well, but was still within thredUP’s acceptance rate. I sent about four or five pairs of shoes, and only two pairs were accepted. That payout was $3.85. My third bag was way under the rate, but all of the items that I would be sure would be accepted were. I was a tad disappointed at this particular payout of $3.60; I would have thought it would’ve been higher, but it does fall within thredUP’s guidelines and payout structure. Is ordering that green and white polka dot bag worth it? I guess so. It got a lot of stuff off my hands, and I made a little scratch that I can pay out of in a few days, or use as credit on thredUP‘s shop, which is probably what I’ll end up doing. A total credit of $17.10 will get a few things on the site, and you have to wait two weeks from final bag processing to cash out anyway. If you’re interested in giving thredUP a shot, either buying, selling, or consigning, click here for my affiliate link.